Wednesday Luncheon - "The Midlander"
The Midlander runs on selected Wednesday lunchtimes. The train departs from Loughborough Central at 1.00p.m, returning at approximately 2.45pm. Tickets are £35.00 per adult / £35.00 per child. The price includes the full cost of the train ticket. 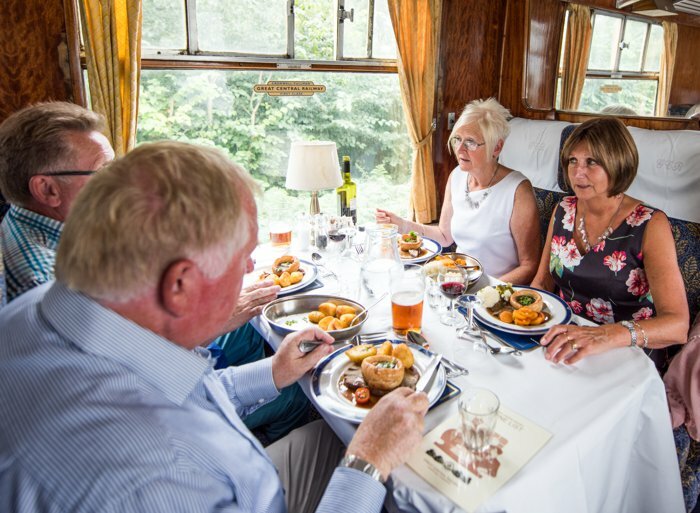 Rail travel is unlimited on the date of dining. To check dates and book your tickets call 01509 632323.